Perkins Muredzi, received his MSc Eng Food Processing Engineering degree from Krasnodar Institute, Russian Federation in 1991 and a Masters Degree in Intellectual Property from Africa University, Mutare, Zimbabwe in 2010.He received his PhD from Atlantic International University (USA) in 2012. He teaches Food Engineering and related courses to undergraduates and Intellectual Property courses to post graduate students. He has over fifteen years of university teaching experience and is an Executive Dean of the School of Industrial Sciences & Technology at the Harare Institute of Technology, Harare, Zimbabwe. He is a publisher, and member of IUFost, EFFoST and IFT. Food Science represents the application of the basic sciences, biotechnology, and engineering to the production, processing, packaging, distribution, and evaluation of foods. Food science and food technology complement production agriculture by developing methods that minimize waste and improve the quality, utility, safety, attractiveness, and shelf life of foods. Food scientists strive to improve the efficiency of food processing while ensuring high quality, nutritious, safe and convenient food products. To this end, they employ the principles of chemistry, physics, biochemistry, microbiology, engineering, nutrition, and management in an integrated manner. Food scientists require specialized education and technical training. Advanced studies in food science and technology taken by graduate students provide a broader, more varied education than is possible in the other study programmes. Graduate students are more often expected to take courses in food chemistry, food engineering and processing, food microbiology, nutrition, and food marketing as well as in the supporting disciplines and commodity areas in their special interests. Graduate students therefore require exposure to information regards immerging and critical topics in the various areas offered in their studies. To complement taught courses some programmes offer seminars on advanced topics or food research areas. 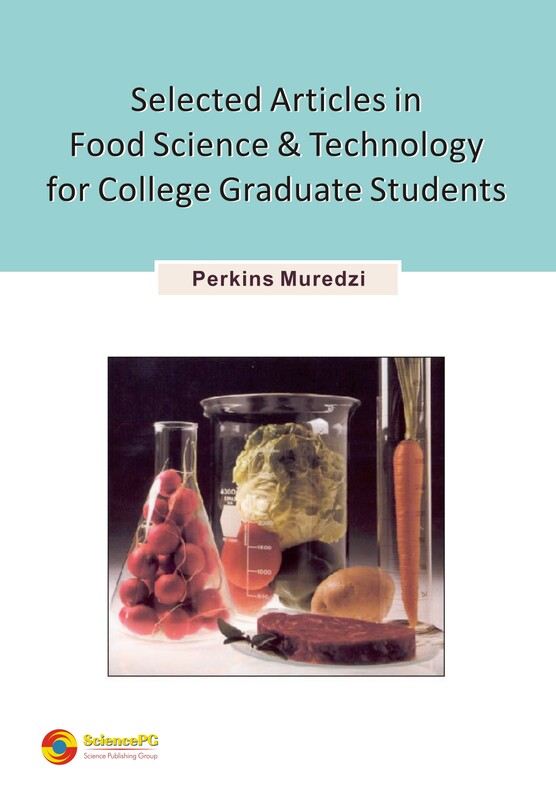 This collection of articles serves to give the graduate student a varied portfolio of articles as reference material for the various disciplines of food science and technology under study thus enriching knowledge in selected critical topics.